Whether you are in need of the ultimate escape or just a quick break on a tight budget, you don’t need to travel far from home. We have rounded up the best luxury hotels throughout the U.S., Central America and Mexico that will fit any. Spend a ton or keep it reasonable. You are guaranteed to come back feeling totally relaxed and rejuvenated from these travel hot spots. 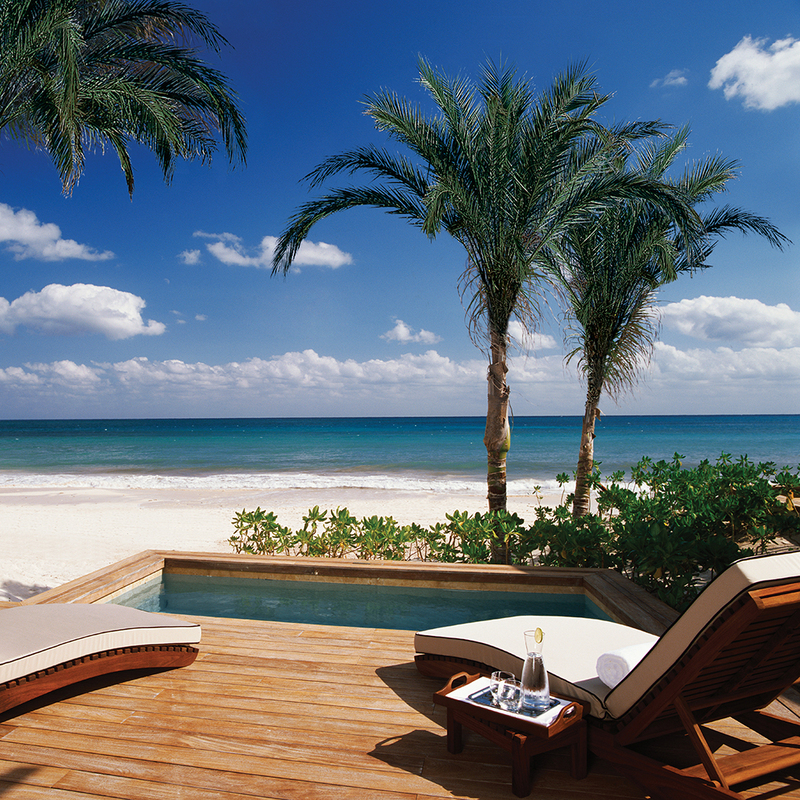 There’s no shortage of accommodations at Mayakoba (meaning “village of water”), an ecological paradise along Mexico’s Riviera Maya, connected by a network of canals with three luxe hotel brands, spas and first-class restaurants. The jet set settles at Rosewood for the quiet, refined, mod villas on freshwater lagoons. The Asian-flared Banyan Tree caters to couples, vacationing cronies and family-friendly Fairmont provides ample water and outdoor activities. Expect playful, clean midcentury design at the new downtown 92-room boutique Thompson Playa Del Carmen. Sign up for beach day or visit the sprawling roof deck with underwater living rooms and submerged loungers while sipping a margarita. Later, stretch out for some yoga at the freshly christened Beach House with its share of cabanas, pools and sparkling Caribbean views. A quick boat transfer from the colonial town of Granada whisks you to the eco-savvy Jicaro Island for a relaxing, sustainable, upscale paradise. 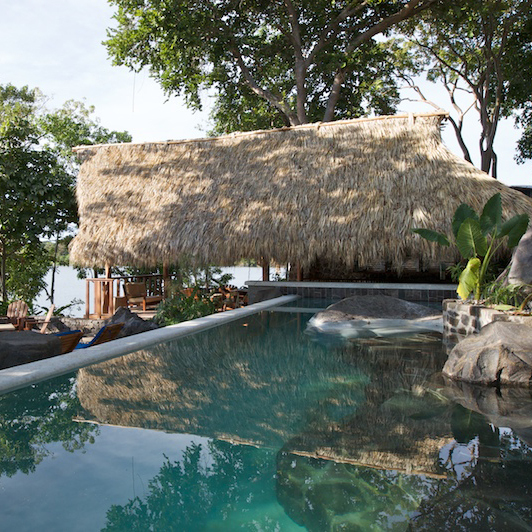 This all-inclusive lodge is peppered with verdant trees, tropical foliage and set on a tranquil lake (which also provides water to the property). An on-site garden contributes to the hearty and healthy menu. For ultimate peace, doze off to nature’s soundtrack with the elegant, distant murmur of cranes. Set in the heart of the ancient, UNESCO-protected city of Granada, the elegant, boho-chic tropical boutique Tribal Hotel has only seven rooms, each outfitted with private terraces and styled flawlessly with midcentury touches and colorful enchanting, exotically sourced pieces like bright Thai throw pillows, warm Turkish killims and Kenyan wall panels. Opt for cocktails on a shaded daybed by the small dipping pool. Tucked in the Sangre de Cristo foothills and a short ten-minute drive to Santa Fe’s Plaza, check your bags at this 65-room retreat, which once functioned as an old dude ranch. Quell high-elevation woes at the spa with local techniques, including the Mountain Spirit Purification using a smudge of sage, adobe clay body mask, wrap and juniper hot stone massage. Before poblano chile crab cakes at Terra, sit by the fire pit and sip a hot toddy. The oldest hotel in town, Hotel St. Francis, has a style that complements its tranquil, monastic lobby of clustered candles and simple, artisan rooms with Frette linens and a neutral palette. 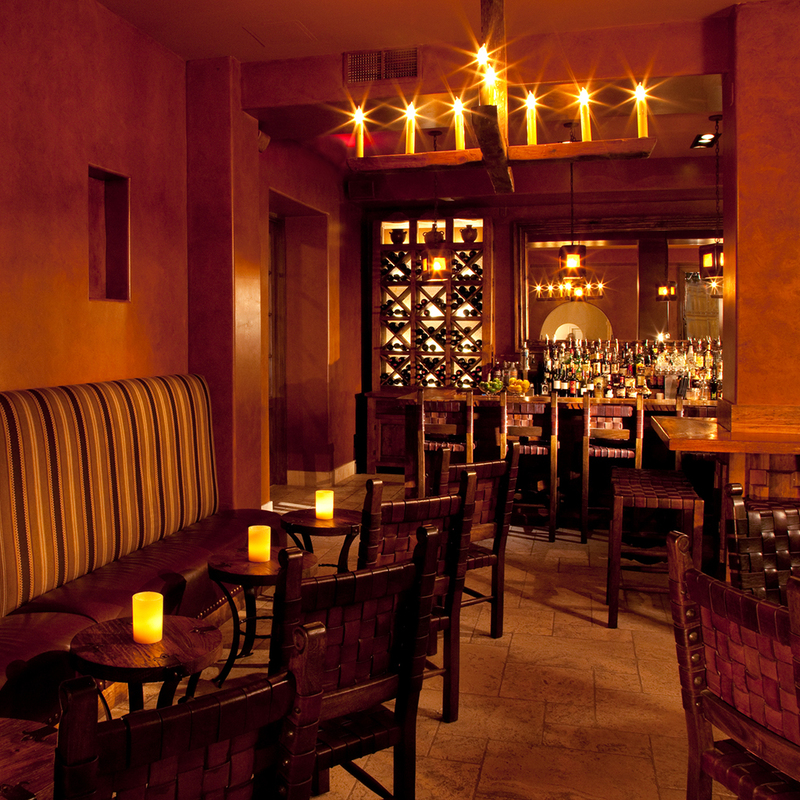 At night, venture to the Secreto Bar for a margarita and light bites, like the housemade green chile hummus or South American–style empanadas. Miami’s new eco-chic hotel, dressed with white-washed furniture and a reclaimed wood pallet caters to a crowd looking for calm tranquility with its massive living green wall, a lobby farm stand with fresh produce and a farm-to-table restaurant, Beachcraft, by chef Tom Colicchio. The rooftop pool is a welcome escape from the beach (no kids allowed), as are the subtle, airy white-sand neutral guest rooms with filtered water and yoga mats. 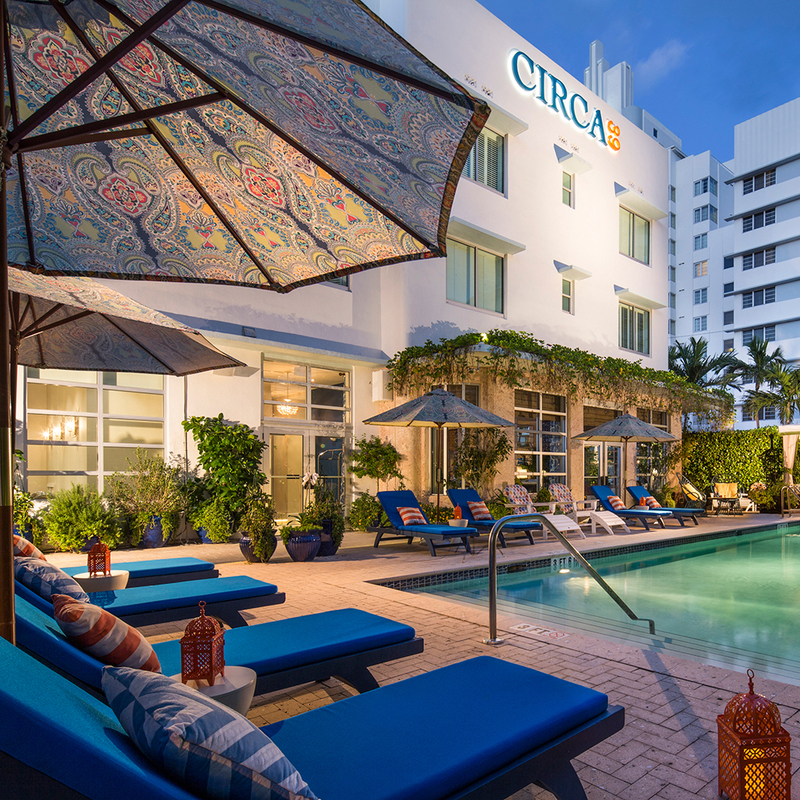 Just across from the beach, the charming, newly renovated Circa 39 (situated in a historic art deco structure) has only 97 rooms, as well as a leafy tropical courtyard and beachy, bright walls in shades of white and blue. Visit the swimming pool for its bustling sundeck and sip a creative cocktail from the tropical-inspired Wunderbar, which is known for its potent rum concoctions. This brand-new hotel in the heart of the Pearl is housed in a former brewhouse. The 146-rooms are compliments of hip New York design firm Roman and Williams with mod, refined décor and subway-tiled bathrooms with Malin + Goetz toiletries. The hungry will find refuge at three chef-driven eateries: Supper, Sternewirth and Larder. 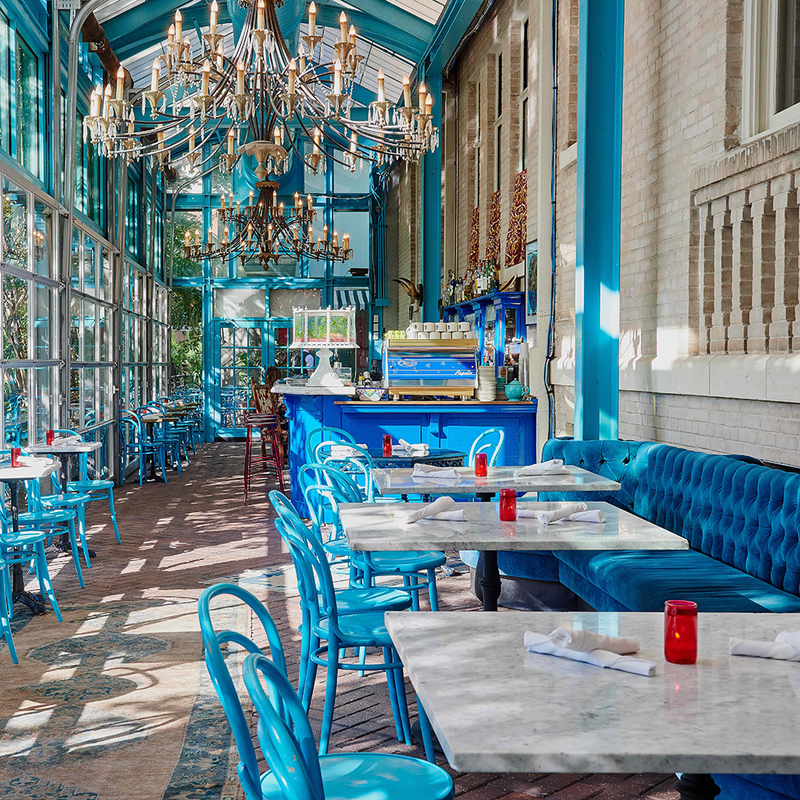 Along the River Walk, this hip, historic 27-room hotel includes small, spare rooms with vibrant Cuban touches, vintage furnishings and plantation shutters. Bathrooms are stocked with Red Flower products and the glass-enclosed lounge Ocho Restaurant is perfect for a breakfast of robust coffee and plantain griddlecakes; at night, drink cocktails served with Latin-style snacks.